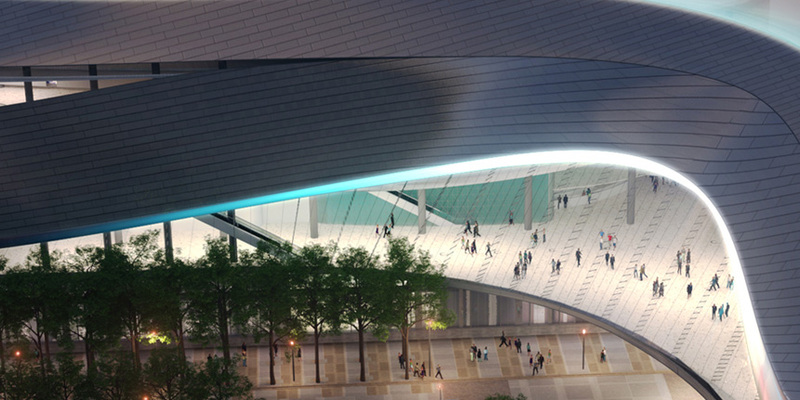 The swooping, curvilinear form of Rogers Place, in Alberta, Canada, provided a compelling challenge for our computational design team, which was hired by 360 Architects to assist with the arena’s facade modeling and rationalization. 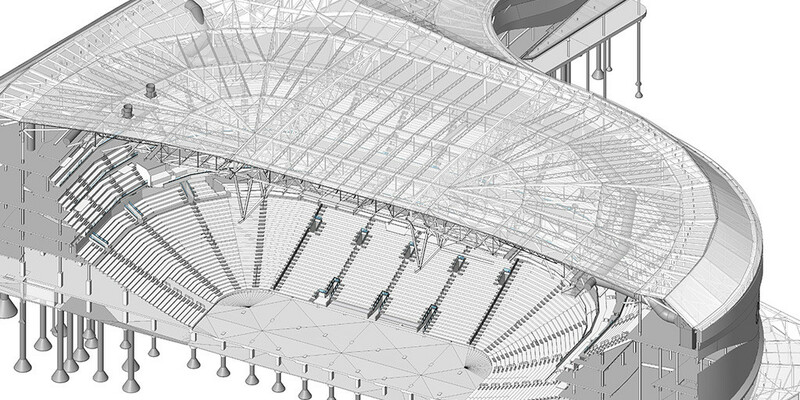 The CORE team developed a novel facade rationalization workflow that utilized Kangaroo – a Grasshopper plug-in developed for form finding and physics simulation – to significantly speed up the development of the complex facade and roof geometries. Kangaroo allowed the values of the design and engineering team – target panel sizes, acceptable panel curvature, architectural relationships, etc. – to be encoded as physical forces which are brought into equilibrium during a [Kangaroo] form-finding simulation. Whereas traditional top-down approaches to facade rationalization demand significant amounts of time to optimize any single design iteration (minutes or hours), our bottom-up, physics based approach proved capable of producing suitable results in seconds. This rapid engineering feedback loop allowed the design team to explore a vast number of options earlier in the design process, and to identify entire ranges of buildable design iterations to consider.